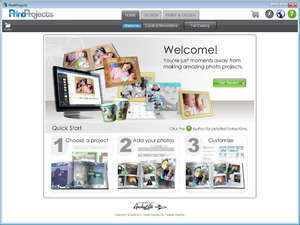 PrintProjects software, powered by RocketLife, is a simplified way to make truly personal collage prints, calendars, greeting cards, and more. It's fast, fun, and the results are beautiful. Print your creations at home or have your creations shipped to you. For security reasons, you should also check out the PrintProjects download at LO4D.com which includes virus and malware tests. Additional screenshots of this application download may be available, too. PrintProjects download been highly rated by our users.